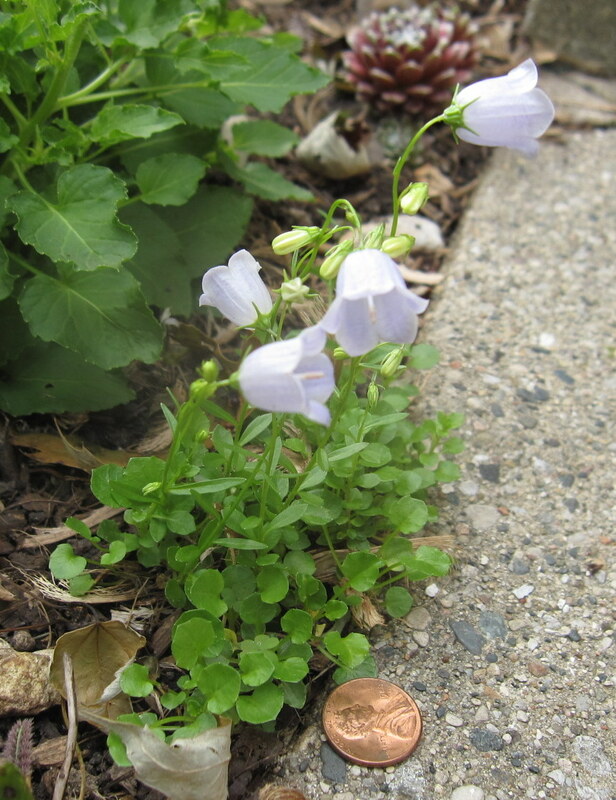 Arrowhead Alpines Blog: It is national campanula week! Okay, so I made the Campanula week thing up. But I'm going to MAKE it national campanula week here on my blog with this post. 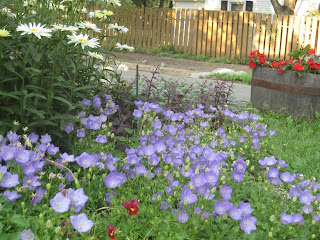 If you blog, feel free to campanula things up with a post of your own. I never used to grow campanula. I think just because they are SO many of them. Chiltern seeds, one of my favorite seed sources lists no fewer than 44 and the Arrowhead Alpines selection clocks in at 53. With that many to choose from, I never knew where to start, and just sort of flipped past those pages feeling overwhelmed. But no more. This year I took the plunge with half a dozen, and I am rather smitten. Here are 4 of the most interesting. 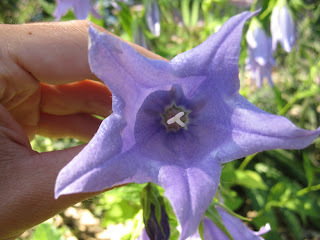 This is one of the standard little campanulas, and I have to say, it is pretty nice. Little dense plants that cover themselves with flowers round about mid-June, then keep on reblooming the rest of the summer. Not only that, but like all the rest of the genus, these have been absolutely tough and undemanding for me - they even put up with being transplanted in the middle of a 90 degree heat wave without wilting! This is a TINY little plant -- see the penny in the picture for scale -- and utterly adorable. I always worry that these little bitty things will be wimpy, but like all the others, it is proving to be as tough as nails. It is already showing signs of being a spreader, which I'm happy about. It is too small to overwhelm other plants, and I think it will make a lovely little ground cover. This is one very odd little plant. 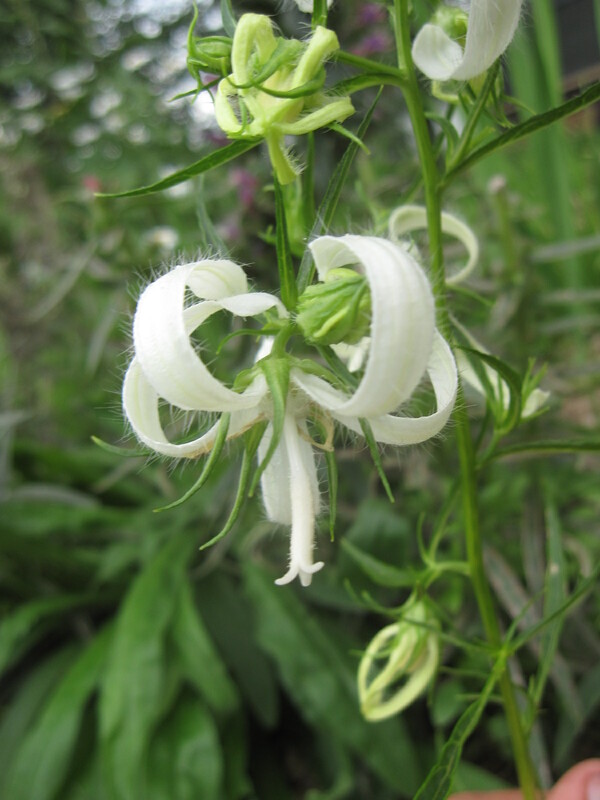 Strange wiffle ball-like buds that open into sprawling octopus-like white flowers. Unique, yes. Beautiful? I'm not so sure, but the collector in me is happy to have it. I like this one. A lot. The flowers are huge (my hand is in the second picture to give you an idea of the size), a graceful shade of blue, and produced in abundance. I dead-headed the first crop of blooms, and now it is beginning to reward me with another flush of them. C. punctata is generally supposed to be a fairly agressive spreader, but according to arrowhead alpines, this one isn't so much. Which is good, I guess. I don't like plants that take over, but this is one I wouldn't mind having a lot of. Love them all! 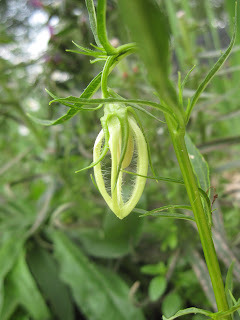 Especially that spidery one, it almost looks like a lily. I've always admired the flowers of punctata, but have been scared away by the aggressiveness warnings. 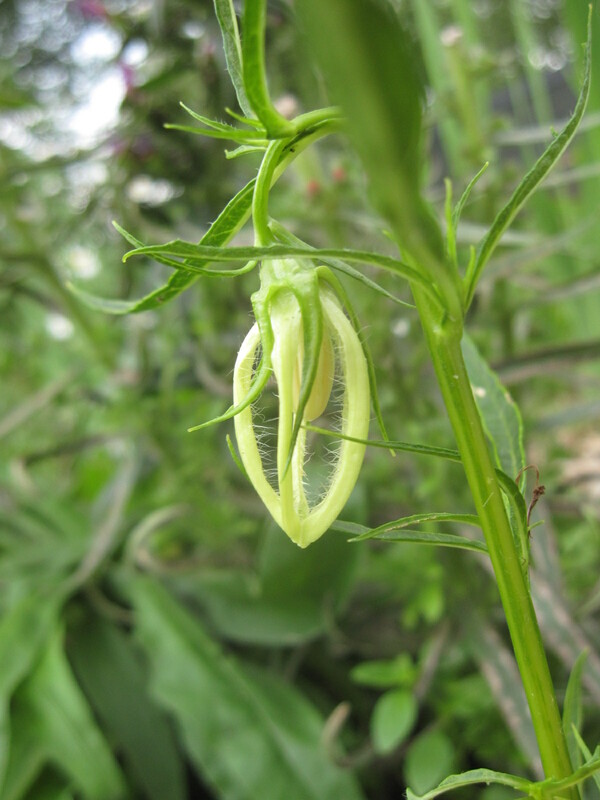 I had carpatica in a previous garden, but it didn't return after winter. All I have now is rotundifolia. Hi Joseph ... popped over from Frances and Fairegarden. Happy to meet another Michigan gardener. We'll see how aggressive the punctata proves. I love it now, but it is amazing how quickly something that spreads too quickly can become despised. Yes, Chiltern and Arrowhead are the best! I'm lucky that I'm close enough to Arrowhead I don't have to mail order from them -- I go in person! Welcome! It is always wonderful to meet another Michigan gardener! Go ahead and order 'Miranda'. You know you want one. 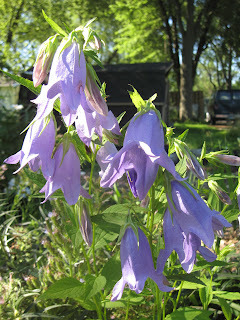 Campanula punctata 'Stevie Ray' - one more I'll have to add to the garden . . . next year - after you've had a chance to see just how aggressive it is! I'd never heard of Arrowhead and Chilterns but now I'll have to check them out - always looking for new sources of interesting plants. Thanks for the introduction to them. I'll let you know how invasive it is. And have fun with Chiltern and Arrowhead! They are amazing... and dangerously addictive. Beautiful Trust is a stunner! And my experience of C.punctata is that it will spread like wildfire IF you let it. Or just pick out the new shoots and some roots and you have plenty to share!